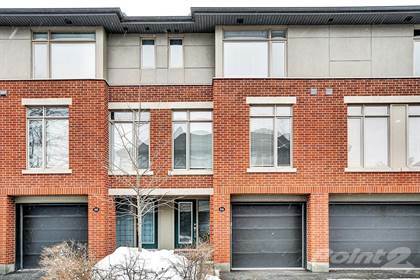 Exceptional quality and finishes are the hallmark of this beautiful townhome. Located on a quiet cul-de-sac backing on a forested grove in Beaverbrook, a neighbourhood of parks and pathways that is close to all amenities. Fabulous island kitchen with granite countertops and rich wood cabinetry is open to the family room. Enormous great room with fireplace and access to the second level deck overlooks the trees. Spacious bedrooms with well-appointed bathrooms and upper level laundry facilities. Main level den and 2-piece bath provide for a private workspace. Finished space in the basement could be a home theatre, gym or "man cave". This home sparkles! Hi, I'd like to find out more information about 54 Callaghan Private. Thanks so much!